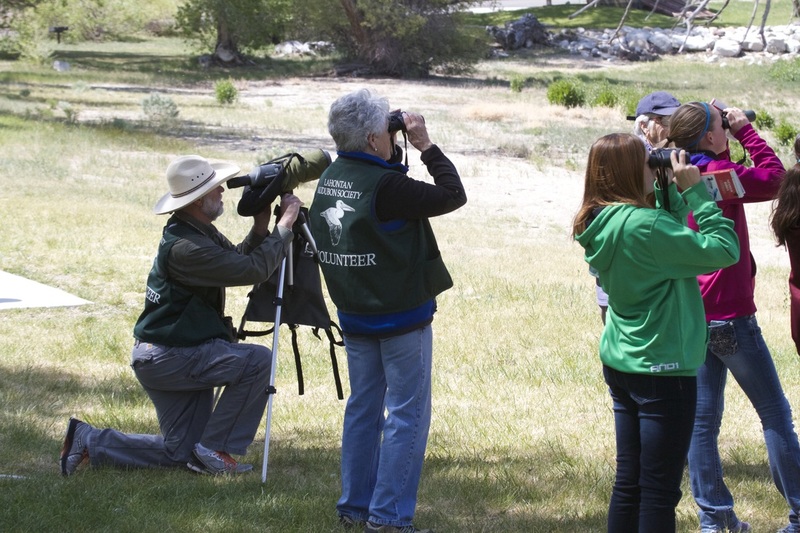 Volunteers are the backbone of the Washoe Lake program. 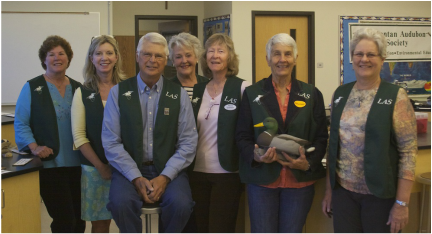 Volunteers are the ones who make LAS work, especially our School Visits and the Washoe Lake Field Trips. We’ve had a dedicated, energetic, enthusiastic group of people every year to help with our educational outreach. But we can always use more! If you would like to get involved we would love to have you. You don’t have to be an expert. We can train you on the spot. And you’ll probably have as much, if not more, fun than the kids. At the very least, you will certainly have a feeling of satisfaction as you help kids (and adults) learn about the birds and other wildlife of this area, and the need for protecting and preserving our fragile habitats. Join us and you, too, can make a real difference in a child’s life. For information contact Education Committee Co-Chairs, ​ and Linda Valle Michael Goddard at laseducation17@gmail.com.